1. Look how God introduces Himself: He introduces Himself with this phrase "I am יהוה." 2. How wonderful and PERSONAL our God is. He tells you DIRECTLY His Name: "I am Yahweh." 3. Can you guess how many times God says this phrase in the Bible? 4. "I am Yahweh" occurs in the Bible 207X. This is how important this phrase is. Look up the concordance and study this phrase and you will find an abundant spiritual treasure . These titles all describe who Yahweh is. 1. 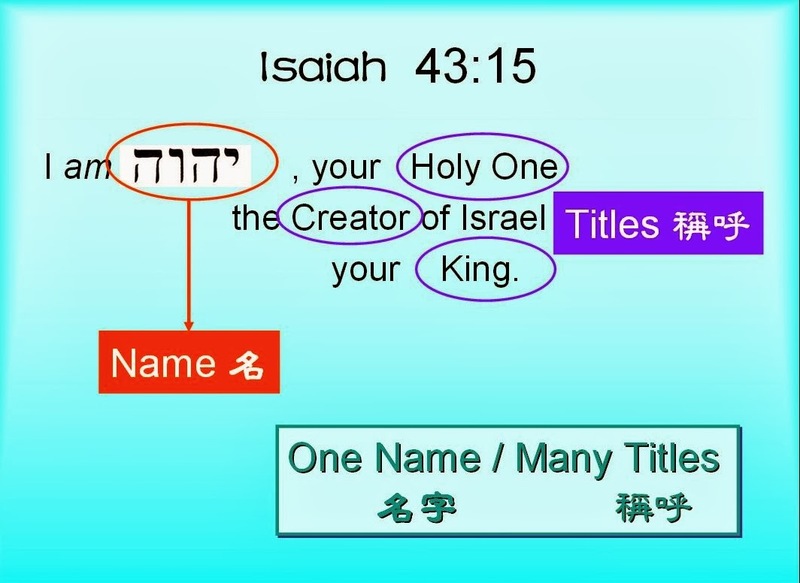 These titles: Holy One, Creator and King do not specifically refer to Yahweh God. 2. Holy One occurs 57X in OT; 54X refers to Yahweh God. 3. Creator occurs 22X in OT; 18X refers to Yahweh God. 4. King occurs 2170X in OT; Only 19X refers to Yahweh God. Other times, king refers to human beings. The Name Yahweh יהוה is above all Titles.